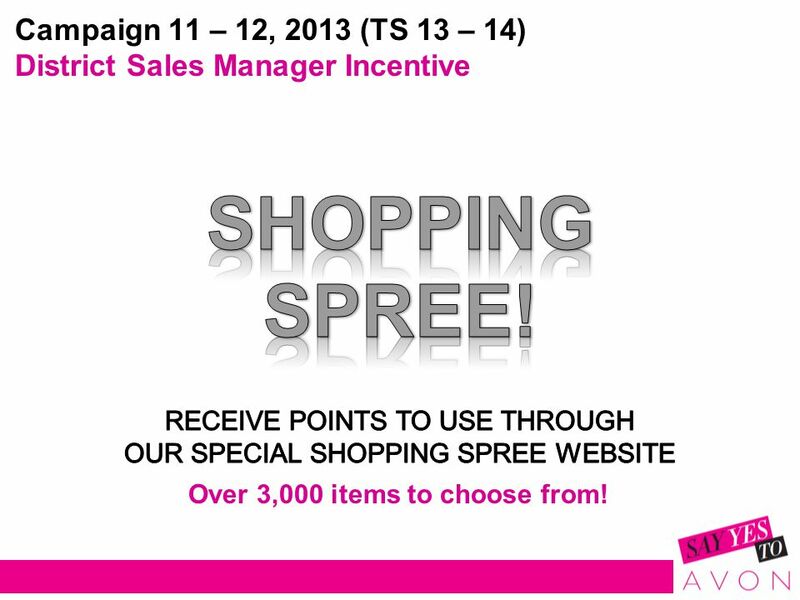 4 Campaign 11 – 12, 2013 (TS 13 – 14) District Sales Manager Incentive Over 3,000 items to choose from! 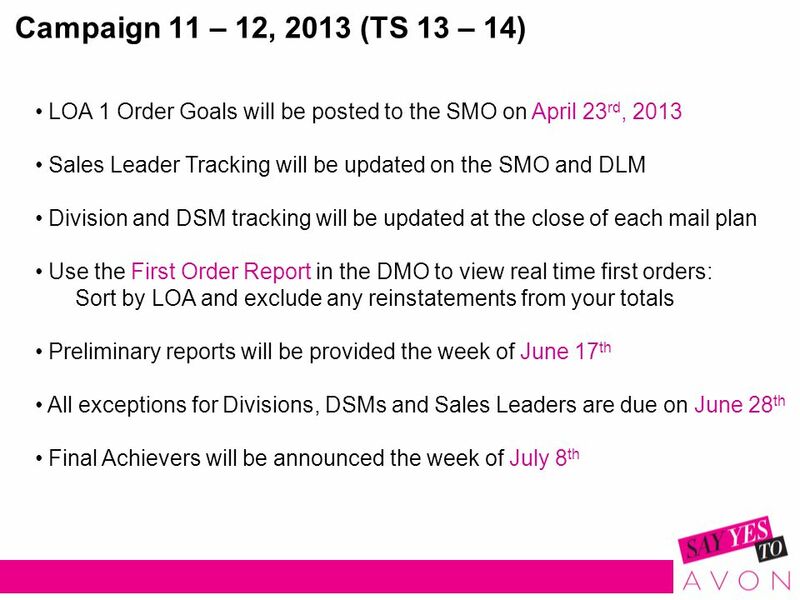 5 Campaign 11 – 12, 2013 (TS 13 – 14) District Sales Manager Incentive  You Do You Get: Achieve your LOA 1 Order Goal and receive 80,000 points  Best of the Best: Be one of the top 3 DSMs in your Division with the highest percent of increase over your LOA 1 Order Goal and receive 200,000 points (instead of 80,000 points) The link to the website will be included in the Incentive Launch Guide the week of April 22 nd so you can start window shopping! 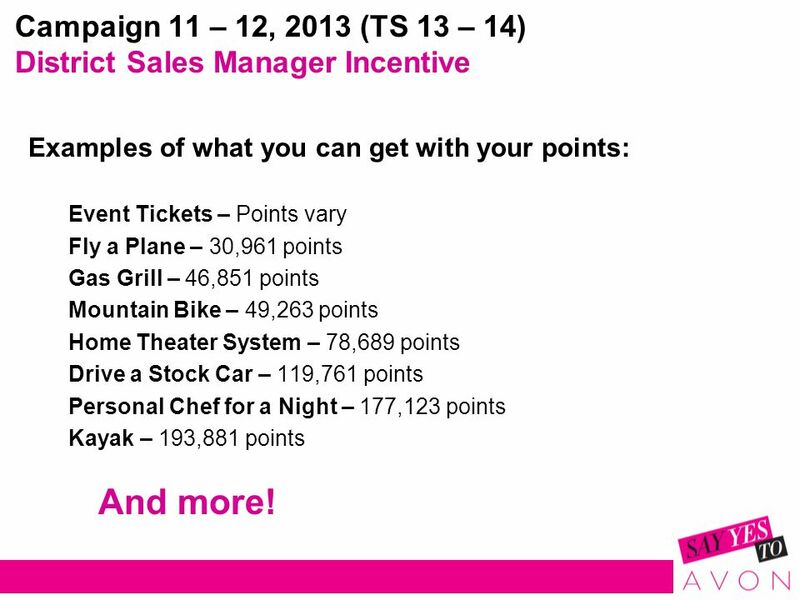 6 Campaign 11 – 12, 2013 (TS 13 – 14) District Sales Manager Incentive Examples of what you can get with your points: Event Tickets – Points vary Fly a Plane – 30,961 points Gas Grill – 46,851 points Mountain Bike – 49,263 points Home Theater System – 78,689 points Drive a Stock Car – 119,761 points Personal Chef for a Night – 177,123 points Kayak – 193,881 points And more! 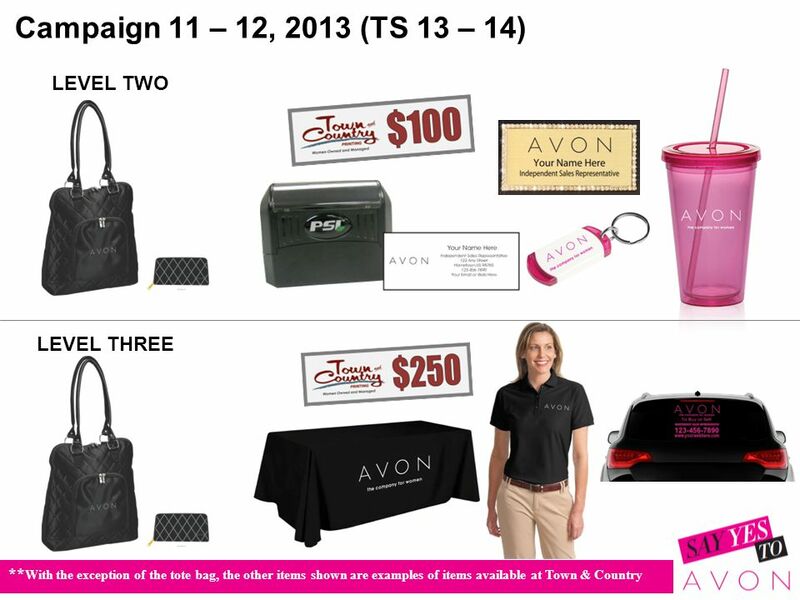 Download ppt "Incentive Programs Campaign 11- 12, 2013 (Trendsetter 13-14)"
Recognition Ads How To Plan Your Yearbook Ad Sales Campaign To Families & Groups On Campus. Banking your money A STEP BY STEP GUIDE. 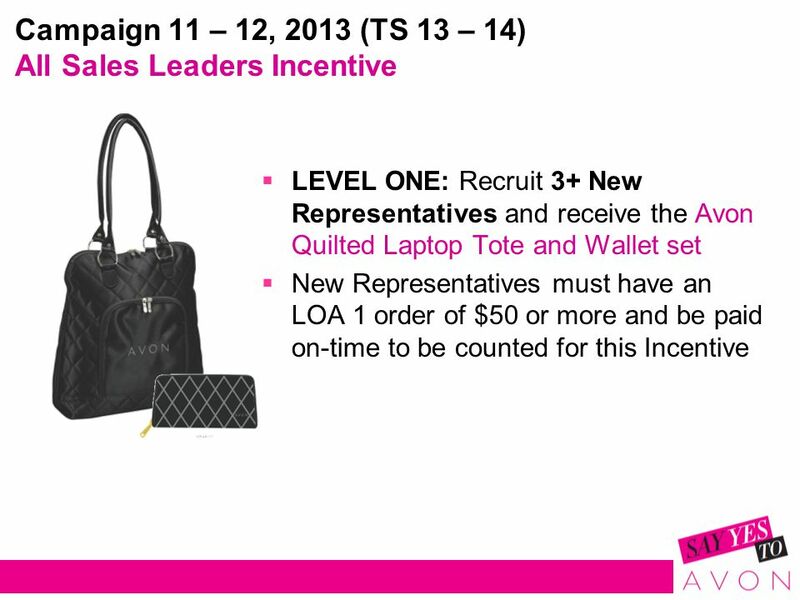 STEP ONE COMPLETE A DONATION FORM These are available in your registration pack, at Team Meetings and from our. Summer Days Program 2013 Score My Team. 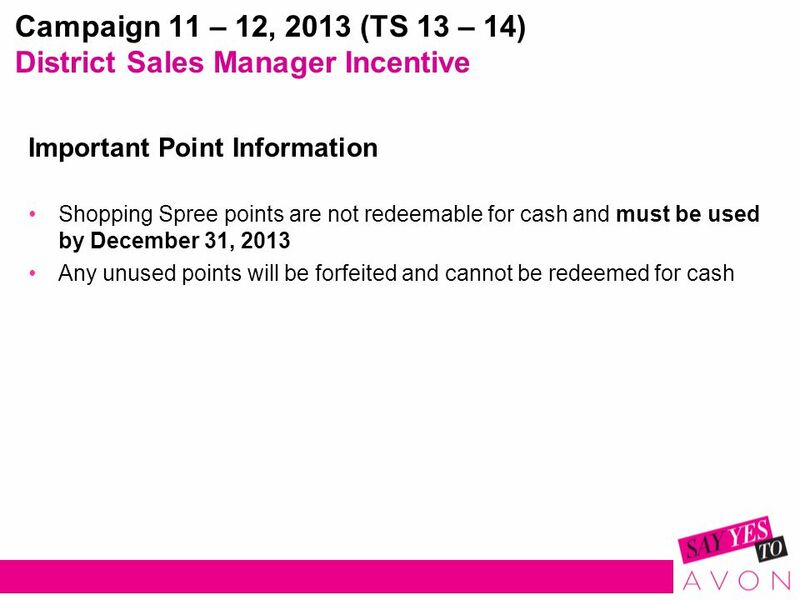 Score My Team Incentive Program Overview: Knowing that several NilearOS clients have not yet implemented Score. Bedazzle. Campaign Objectives Portray Nokia’s footprint into style and premium category Differentiated offering from Nokia Stores to specific TG Incremental. 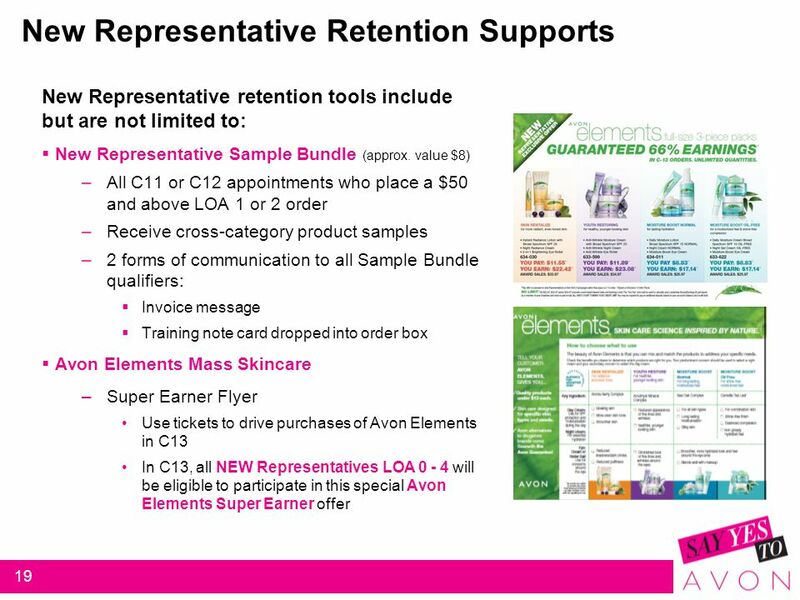 Enhanced Program Enhanced Program Will Drive Increased Loan Volume! 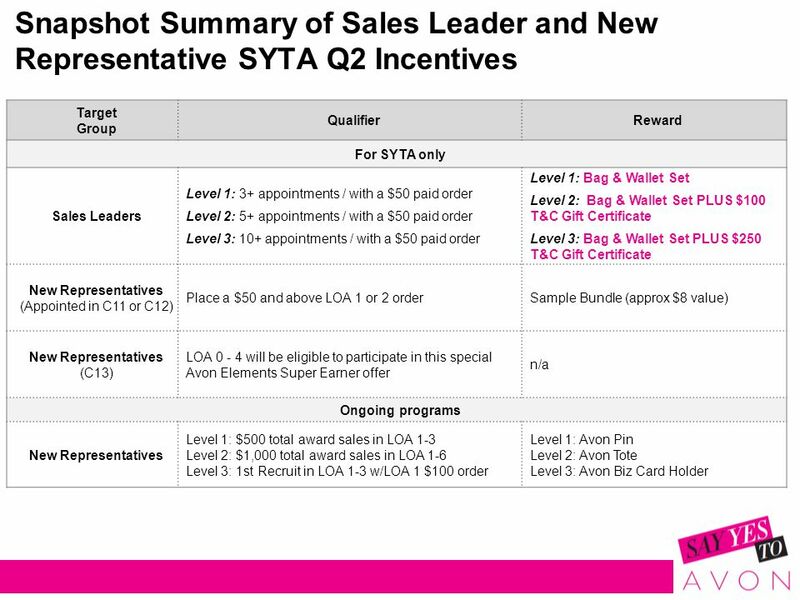 Two levels of the GM program will be offered: Standard Package Credit union actively. 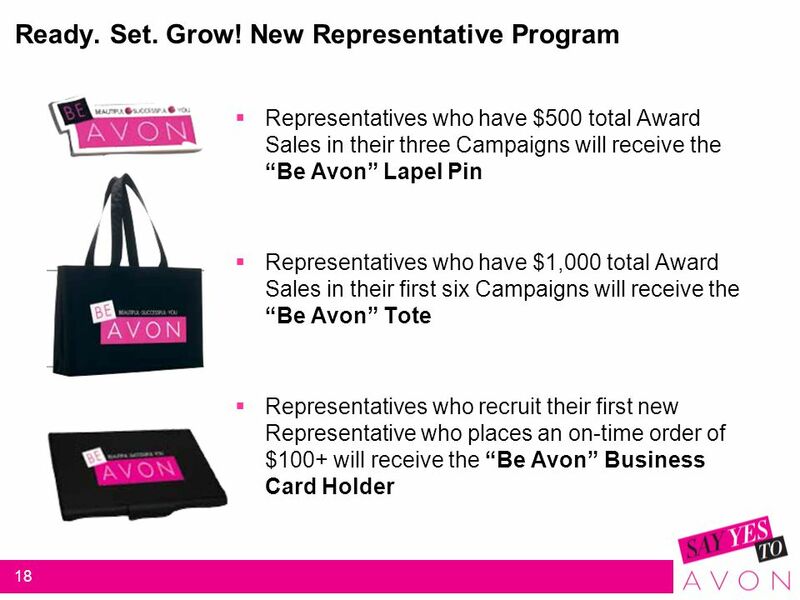 An Avon Recruiting Environment A conducive recruiting environment to drive energy, professionalism & fun  Avon logo equipment and apparel –1 Tent in all. 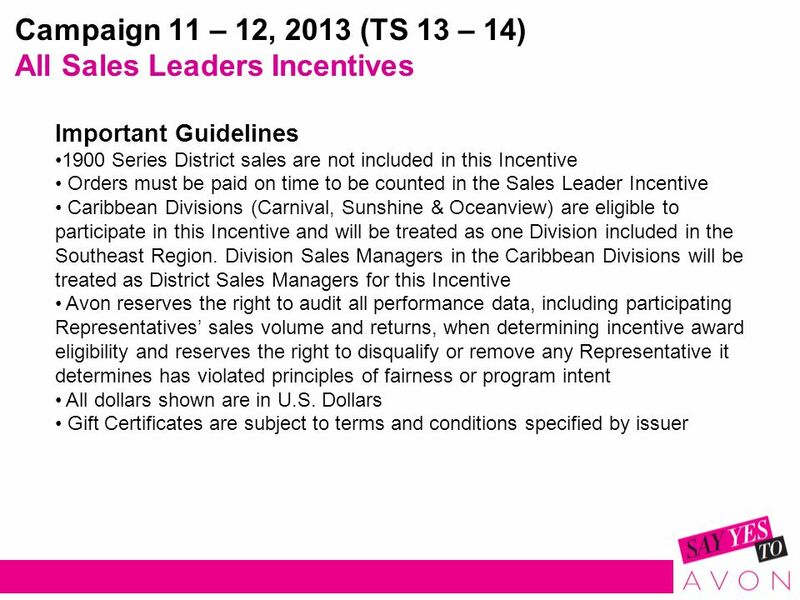 1 PEP Competition Guideline. 2 This is All India Competition This is All India Competition Duration of the competition will be 60 days – June 1. 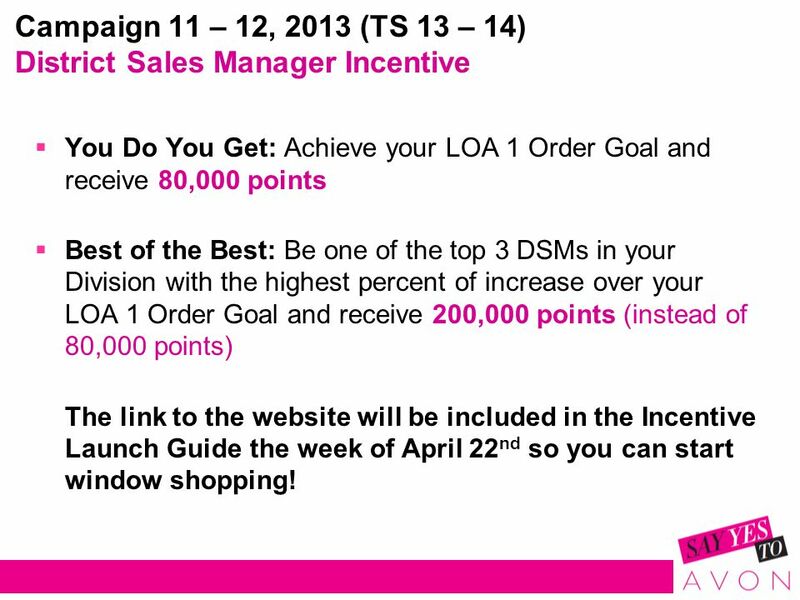 Cash in on Recruiting & Achieve Growth Now Incentive Support Guide. FONO & FETULI SCHLESSINGER SCOTT PETERSON Olevia & Panapa Sellesin MARK PENDELTON BEN DOWDLE. 1 Iowa Microsoft Class Action Settlement Teleconference June 6, 2007. District 1567 Shining Stars New Representative Training. “Give Today for a Better Tomorrow”. 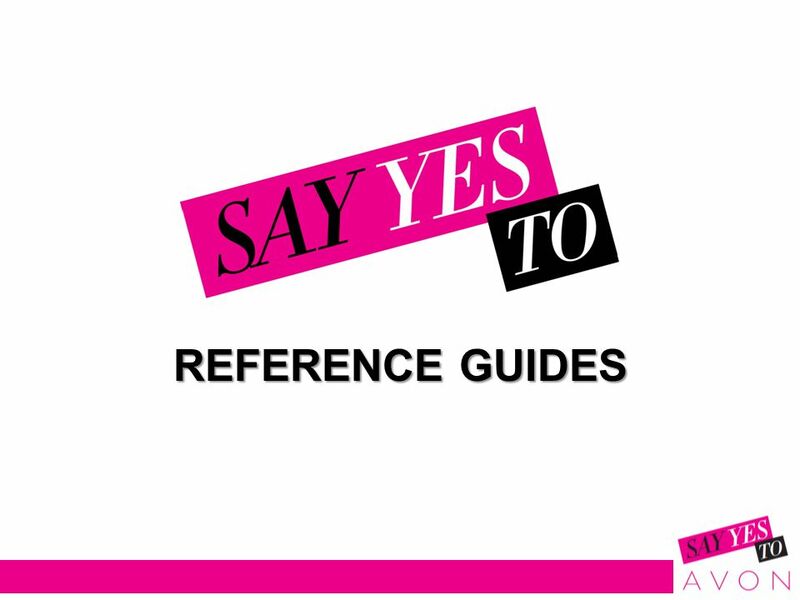 Strategies for Running a Fun and Enthusiastic Campaign. Literacy-Based Promotion Act & 3 rd Grade Summative Assessment Parent Information Night September 29, 2015.